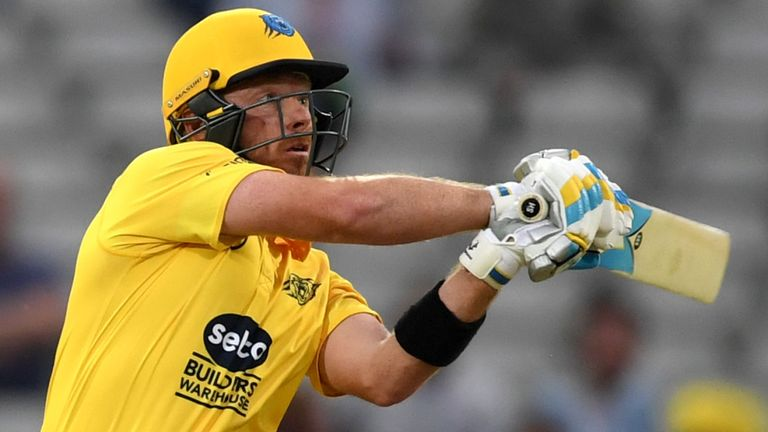 Ian Bell is gearing up for T20 stints in the Bangladesh Premier League and Pakistan Super League - but he has had his eyes on the Test game, too, with England securing a 3-0 whitewash in Sri Lanka. Speaking with Saj for Sky Sports, the Warwickshire batsman, explained why Joe Root's side can go from strength to strength, and if he has his eyes on an international recall at the age of 36, and also looked forward to his winter assignments. What are your thoughts on England's efforts in the Test series in Sri Lanka? IAN BELL: It's been brilliant. Test match cricket in the subcontinent is not always easy and I think England have played really, really well. I think Joe Root's hundred, in particular, was a masterclass for any young English batsman to watch on how to play spin. What is also very pleasing is that we've seen other players in the squad come through, like Sam Curran and Ben Foakes and we've seen some young guys emerge in Sri Lanka which is brilliant for the Test side. There's going to be competition for places which is what I love about the England Test side at the moment. Also, there is a lot of flexibility within the team and that gives Root a lot of options regarding what formation he can play - he can play two front-line seamers, play Ben Stokes and still pick three spinners, which gives England a lovely balanced team for Sri Lankan conditions. Against teams at home, England can then re-adapt due to the quality all-rounders they have, such as Moeen Ali, Adil Rashid, Curran and Stokes. Also, the wicketkeepers we have really allow us to have a flexible and long batting line-up and it also gives a lot of bowling options which has been very interesting. What are your thoughts on Keaton Jennings' international career to-date? IB: I think he showed a lot of mental toughness and character to score that century recently. International cricket is a tough environment and if you are one of the top five batsmen for England your job is to score runs and to be doing that consistently. Expectations are high, but I thought he showed some real mental courage and he showed that he has a lot about him as a person and also showed that he has that work ethic to keep going. For me it's all about him grabbing the opportunities when he gets good starts. You have to make the most of those opportunities and when you have a 50 or a 60 you make sure you go on and make a hundred, and slowly but surely all those critics will disappear. Do you think England are the clear favourites for next year's World Cup? IB: I think people are saying they are the favourites and rightly so. The 50-over cricket they have played over the last three years has been outstanding. It's going to be an exciting tournament but, as we saw in the ICC Champions Trophy last year, Pakistan are a very dangerous side with lots and lots of match-winners and exciting players in their team. India, as they always are at World Cups, are going to be very strong. I wouldn't be surprised if Australia are there or thereabouts if they get their bowling attack together and fully fit and get a squad together from all the players they can pick from. I think they will still be very dangerous when it comes around to the World Cup. I think it will be a very interesting tournament but, for me at the minute, I would be looking at either England, Pakistan or India to go all the way. You are 36 years of age and still performing so well. What's the secret? IB: First and foremost, I love the game and I think the older you get that is what keeps you going. You enjoy every moment and passing on information to younger players and working with younger players is very rewarding and something that is important to me. I've loved the game from the start, I'm a cricket fan and a cricket fanatic. Throughout my career I have played Test match cricket and one-day cricket and as I have sort of finished with Test cricket, I have started playing more and more Twenty20 cricket. Last season was a really good season for me in 20-over cricket and hopefully in the latter stages of my career I will keep on getting better in that format. I just love the game. These opportunities to play in Twenty20 tournaments are really nice to experience and are completely new challenges which is what you want when you have played over 100 Tests. It's all about what is the next challenge, it's about what you can do, what excites you and makes you train hard and play. What do you think is the art to being a successful batsman in all three formats? IB: It's about trying to get better all of the time. When you are a professional in anything you have to constantly be looking to improve in certain areas and that is how I feel now. I want to become a better Twenty20 player and I am thinking about what I can learn to get better as a Twenty20 batsman. I'm looking to think about what can I learn, what can I do to get better as a batsman. My experience of playing against and with some of the best batsmen was that they are constantly looking at areas to improve and what they can do to improve all of the time. If I can pick the brains of some of the players that I am going to be playing with at these Twenty20 tournaments, then I think I can improve my game even at this stage of my career. Also, I think playing in these tournaments can help me when I come back to England and play for the Birmingham Bears and it makes me a better player in that tournament. Is an international recall still something that you are hoping for? IB: It is out of my control as to what can happen on that front. I feel that I am playing at the top of my game - I had a fantastic season in England and I am looking forward to the Bangladesh Premier League and Pakistan Super League challenges. If an international call-up was to come, then I would absolutely love it again, but for me the focus at the minute is to play the cricket I am playing and enjoy the upcoming challenges. What was the attraction of playing in the Pakistan Super League? IB: I had a very good Twenty20 campaign this year with Birmingham Bears and I played franchise cricket with Perth Scorchers last year. Because I am currently not playing international cricket there is the opportunity to go and play in the top leagues against the best players in the world which is something that you want to do to keep challenging yourself. Obviously the Pakistan Super League is one of those top competitions and you have some of the best Twenty20 players in the world playing in it. In addition, you have some of the most talented players in the world from Pakistan and we all saw what they can do at the Champions Trophy. So, I think the PSL is a great opportunity for me to go out there and test myself against some really good players. I've got good experience of winning the Big Bash League with Perth Scorchers and it would be nice to go to the PSL and do the same with Islamabad United. Have you watched much of the previous editions of the Pakistan Super League and, if so, what did you think of the standard of the tournament? IB: I've spoken to a few people like Kevin Pietersen and a few other players who have taken part in the PSL and they all spoke highly of it. I'm really excited about it and I've seen bits and pieces of the tournament when I've had the time. The standard always looks particularly good and the grounds are fantastic and the fact that there are going to be games in Pakistan is brilliant for Pakistan cricket. The PSL is a tournament that I really wanted to play in and it's nice to get the opportunity to do so. Would you be prepared to travel to Pakistan to play PSL matches there? IB: Yes, I would. 110 per cent. I will go to Pakistan to play PSL matches there. What are your memories of playing cricket in Pakistan? IB: Great memories. I scored a Test hundred the last time I went there and what I remember are that there were some great batting tracks out there. I'm lucky that I have the Bangladesh Premier League with Dhaka before the PSL so that will also be in Asia and it promises to be an exciting few months. What are your thoughts on the squad that has been assembled by Islamabad United this time around? IB: I know they were winners last year and there have been a few changes in the squad here and there, but it's just great to be a part of a fantastic franchise. Hopefully I can play my part and we can play some great cricket. I have friends who have played in the previous editions of the tournament and I'm just really excited to be a part of the PSL.